Planning a special day for you and your mom on Mother’s Day is just one small way to express your love and appreciation for the woman who gave you life. As a special treat, indulge her with a day centered around her favorite things whether that’s the fine arts, an outstanding meal, or spending time in the great outdoors. 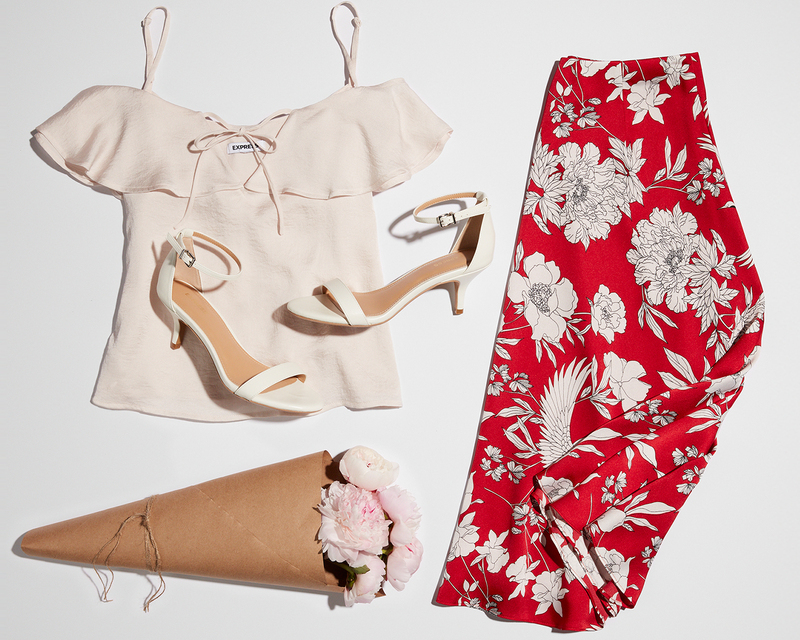 Naturally, you’ll need a stellar outfit to coincide with her outing of choice, and to really up the ante, shower her with a bouquet of flowers that befits your mother-daughter day—it’s that extra special touch she’ll adore. Ahead, we assembled seven stunning outfits for a range of activities—you’ll win the award for best daughter and best dressed. A red jumpsuit and white moto is a fresh way to gussy up the opera and a decadent meal—simple stilettos are a clean finish. For Mom, white roses suit the opulent evening. Gingham and eyelet are two darling fabrics for a day spent outdoors and yellow tulips are a most fitting flower. 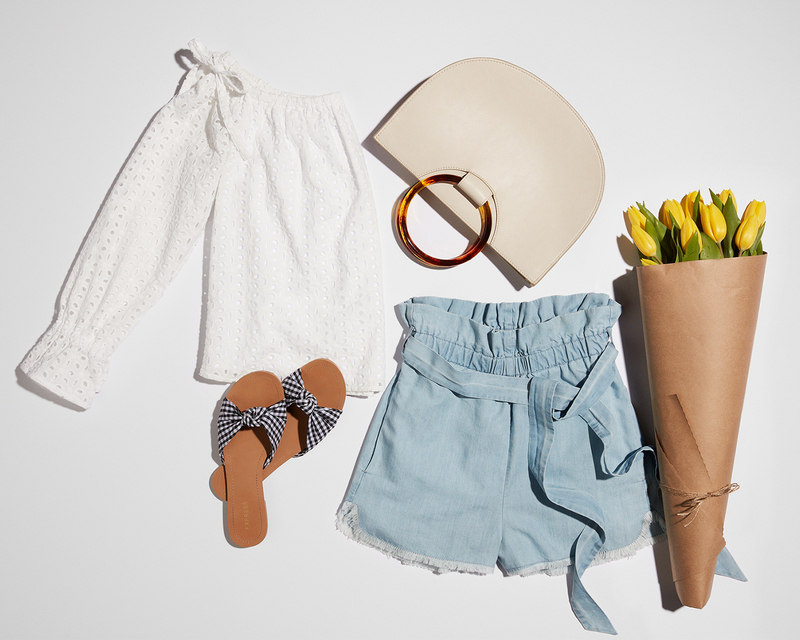 High-rise denim shorts and a sleek modern bag pull the look together. Don’t forget the rosé! Treating mom to brunch and the ballet? A satin dress and lace-up block heels are pretty and polished for both events. Bonus points for matching her bouquet to your print. It doesn’t get more ladylike than afternoon tea. A fluttery cold-shoulder top and midi-skirt are ultra-feminine while peonies are spot-on for the civilized outing. If Mom is a foodie, a cooking class is a fun and interactive activity for the two of you. 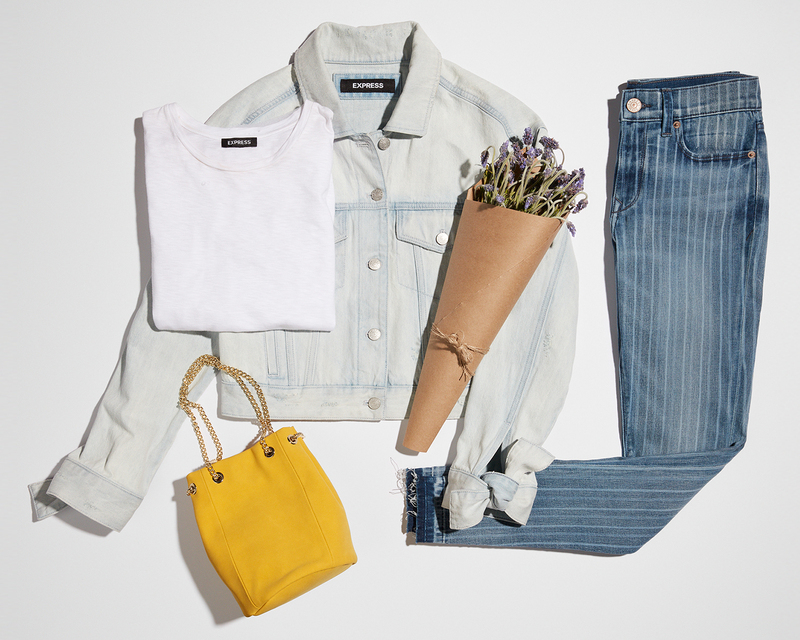 Go casual-chic in a denim-on-denim ‘fit with a punchy yellow bag to pop. A lavender bunch is the ultimate flower choice. What’s better than a splurging with Mom on Mother’s Day? 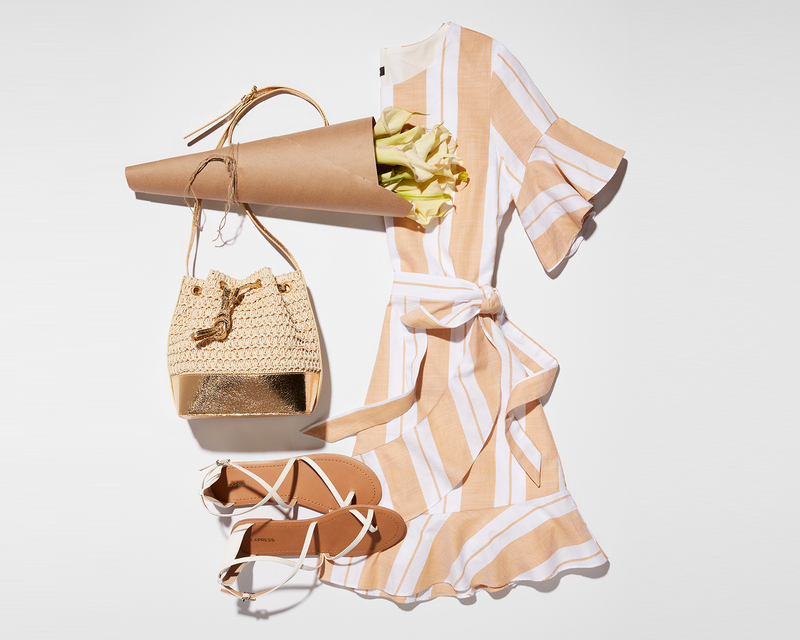 A frilled wrap dress and flat sandals are easy for slipping in and out clothes. Follow with cocktails and calla lilies—after a day of shopping, the combo feels right. If Mom is the active type, take her for a hike! (A city stroll counts if you’re not close to nature.) A handful of daisies play to the outdoors while an ensemble of sporty leggings, a cropped tee, and sneakers nail an Athleisure vibe.